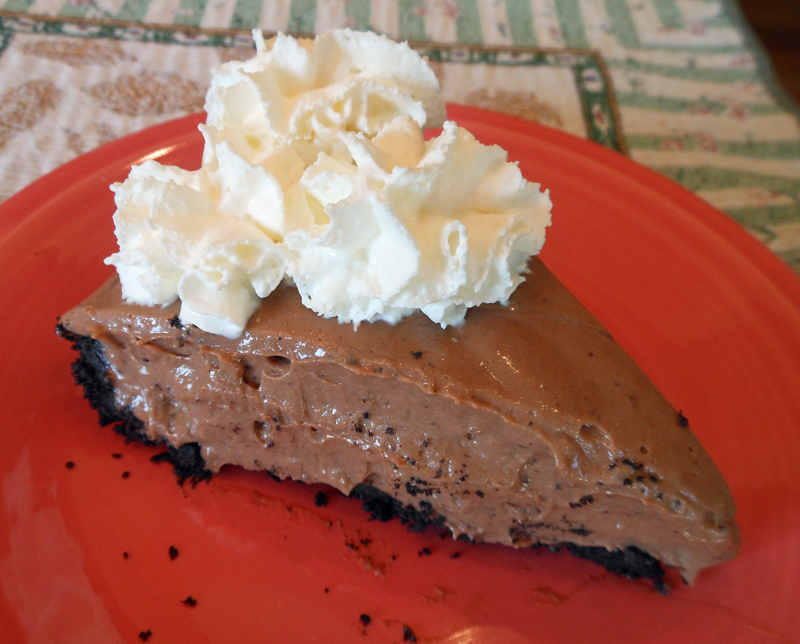 This pie is heavenly! A combination of chocolate and coffee in a very refreshing dessert. In your electric mixer, beat chocolate and vanilla puddings and milk on medium speed until smooth and thickened, about 2 minutes. Add coffee ice cream and continue beating until blended. Pour into crust. Refrigerate at least 4 hours before serving. Heat oven to 350 degrees. Process cookies in food processor until coarsely ground, about 15 pulses, then continue to process to fine, even crumbs, about 15 seconds longer. Sprinkle the butter over the crumbs and pulse to incorporate. Sprinkle the mixture into a 9-inch pie plate. Use the bottom of a measuring cup to press the crumbs into an even layer on the bottom and sides of the pie plate. Bake until the crust is fragrant and looks set, 10 to 15 minutes. Cool crust. Looks amazing! Great post! yummy!